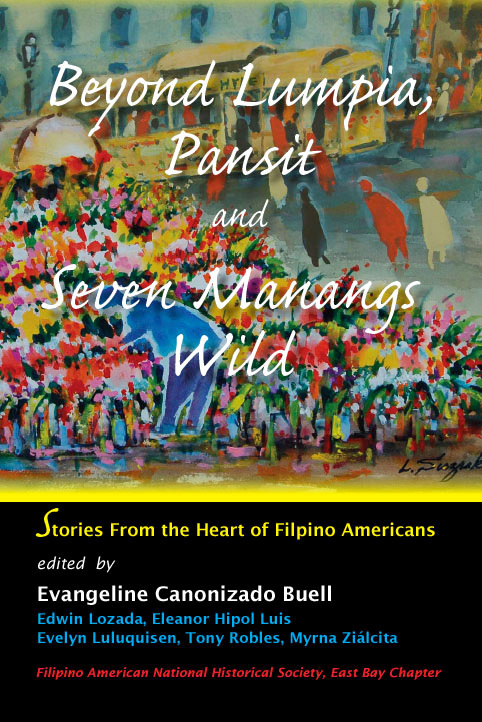 Beyond Lumpia, Pansit, and Seven Manangs Wild features many stories about our second, third, and fourth generation Filipinos, their experiences on how they identify or not as Filipinos in America. The narratives reflect the nature of living influenced by multiple cultures and some reveal the pride felt by the authors in their Filipino heritage through their stories and poetry, as in Tess Crescini’s “Birth of the Ancient in New Times.” Many Filipino Americans in the U.S. maintain strong bonds with family and friends in the Philippines. For some, their parents and grandparents serve as the sole bridge to the islands. There are also those who still cling to the Philippine culture, but have a strong allegiance to the U.S., especially the older second generation (70s to 80s) who may visit the islands but not return to live.